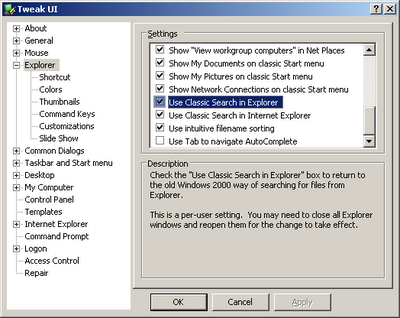 If disabling Windows Deskop Search intergration with Explorer proved to be somewhat of a success, then some of you might also like disabling the Windows XP Search Assistant. While the puppy can be funny and why not, useful to some people, if you know what you are doing you are way better with the old Windows 2000 search dialog. 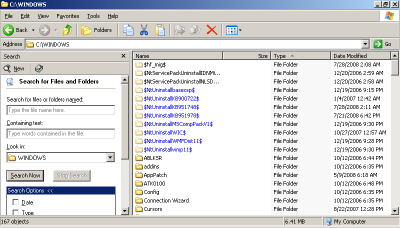 or download and open this Use Search Asst.reg registry file. IE7 slow to open - fix?